Do you want to know the top richest States in Nigeria? Are you interesting in knowing if your state is among the 15 states in Nigeria that may go bankrupt in next few years to come? Interestingly, the state considered to be top richest might shock you. Keep reading! Let’s see if it does. Nigeria has experienced an exponential growth in its economy in the time past. However, her natural resource is yet to be fully tapped. Many states in Nigeria have shown to contribute more to the federal government revenue as well as to their respective state revenue than others. Before I proceed to the list of the top richest state in Nigeria 2016, let quickly explain what IGR means. By a simple definition, Internal Generated Revenue is an amount a state makes in a given year. In the developed world like Britain and United States, states are mostly found receiving little percentage from the federation account and depend majorly on Internally Generated Revenue in financing both annual capital and recurrent expenditures. 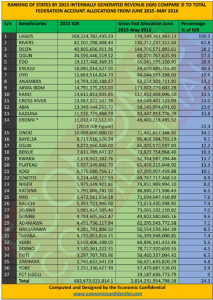 Here below is list of top richest state in Nigeria by IGR. The IGR of the 36 states of the federation totalled N682.67 billion in 2015 as compared to N707.85 billion in 2014, a drop of N25.18 billion or a minus 3.56 percent. On the topmost of the list of the richest in Nigeria 2016 is Lagos State. Lagos State retains its number one position in IGR with a total revenue generation of N268.22bn in the twelve months of last year. Lagos State generates more IGR than 32 States combined. The latest report on IGR reveals that only Lagos State generated more revenue than its allocation from the Federation Account by 150% and no any other state in Nigeria has up to 100% of IGR to the federal largese. The report further indicates that the IGR of Lagos State of N268bn is higher than that of 32 States combined together excluding Rivers, Delta and Ogun whose IGRs are very impressive. The above is the top 10 richest state in Nigeria 2016. The big picture is below with the wealth position of rest of other states in Nigeria. 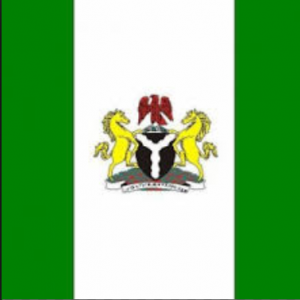 An investigation by the Economic Confidential has shown that Fifteen States may go bankrupt as their Internally Generated Revenues (IGR) in 2015 was far below 10% of their Federation Account Allocations (FAA) in one year from June 2015 to May 2016. The states that may not survive without the Federation Account due to poor internal revenues include Yobe which generated meagre N2.2b compared to a total of N57.4bn it received from the Federation Account Allocation (FAA) from June 2015 to May 2016 representing about 3.9%. Others are: Zamfara with IGR of N2.7bn compared to FAA of N56.6bn representing 4.8%; Ekiti N3.2bn compared to FAA of N50.460bn representing 6.5%; Borno with N3.5bn compared to N78.7bn of FAA representing 4.5% and Kebbi with IGR of N3.5bn compared to N64.8bn of FAA representing 5.5% within the period under review. Others poor internal revenue earners are Taraba which generated N4.1bn compared to FAA of N56bn representing 6.4%; Nassarawa N4.4bn compared to FAA of N50.5bn representing 8.5%; Adamawa N4.4bn compared to FAA of N62.2bn representing 7.1%; Gombe N4.7bn compared to FAA of N49.8bn representing 9.6%; Jigawa N5bn compared to FAA of N73bn representing 7%; Bauchi N5.3bn compared to FAA of N72.6bn representing 7.4%; Imo N5.4bn compared to FAA of N71.6bn representing 7.6%; Katsina N5.7bn compared to FAA of N88.8bn representing 6.5 %; Niger N5.9bn compared to FAA of N74.8bn representing 8% and Sokoto N6.2bn compared to FAA of N69.7bn representing 8.9%. . The poorest southern State is Ekiti which is the only state from the South to be among the 10 lowest IGR earners while the rest in the category and bottom of the ladder are Northern States. Many state governments have blamed the low IGR in their states on the fact that most of the headquarters of the industries sited in their states are located in commercial centres. Governments should emphasize on other internal means of revenue generation such as markets taxes, public conveniences, shops and kiosks rates, death and birth registration, naming of streets, levies, wheelbarrow and cart fees, canoe fees, sewage and refuse disposal fees, customary and burial ground permit fees, signboard and advertisement permit fees, among others vital means of revenue generation. Some council have made provisions for speedboats and vehicles as internal means of transportation which are good development. The principal idea behind Internally Generated Revenue (IGR) is to collect the proper amount of tax revenues at least cost in a manner that guarantee the highest degree of public confidence in state governments’ integrity, efficiency and fairness.